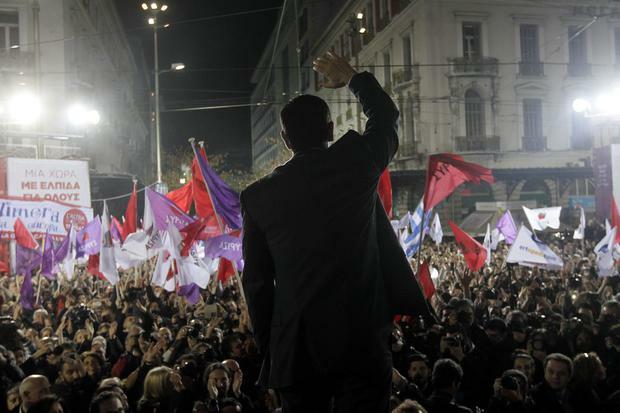 The election results in Greece have again elevated the debate across Europe between proponents of austerity and stimulus. Which approach – either constricting public spending, including projects that promote sustainable growth, or increasing this funding, even through borrowing – will improve troubled economies and create jobs and new wealth for communities and families? This is in reality a global question, currently echoed in two further examples; namely US President Obama’s new proposals to secure and expand the middle class, and the options facing Arab Spring governments as they strive to outpace public discontent and potential political upheaval. There is indeed an alternative, third way approach that has ascended in the global field of international development, but that is regularly overlooked by governments as they create their own national development policies. Participatory development is an approach to economic stimulus that would see thousands of smaller projects at the local level that communities identify and control, instead of fewer, large-scale costly projects with higher associated risks. Participatory stimulus in the form of human development projects is ideally suited to help shorten recessions and promote growth in two ways. First, people’s ability to adapt to change is increased, as the process builds their practical and critical thinking skills and confidence. Second, economic diversity is created with lower, shared risks on investments in smaller project costs and new partnerships, including community contributions of work and materials. In this model, communities exist in close geographical proximity to one another, their members interacting and creating organisations that reflect their local interests and identities and that manage development projects utilising internal and external resources to improve local conditions. Both the timescale and the level of involvement are of critical importance for the success of sustainable human development projects. In terms of the former, it has been found that the greatest benefits accrue for local communities where such projects are implemented as quickly as possible after the initial idea has been agreed upon. With regard to the latter, the premise is that the timing of meetings, project implementation and the overall development process rests with the people – acting in communities – who identify problems, find and implement solutions and benefit from the initiatives thus created. It has been found that when local communities function in this way, performing their own investigation, analysis and management of projects, their knowledge-base (critically built during the data-generating and information-sharing process) is directly relevant to the outcome. The participatory approach has been applied with success in a wide variety of situations. In rural areas, improvements have taken place in farming systems, food production, natural resource and protected area management, cooperatives, land use and sanitation. In the sphere of business and public services, improvements have been noted in infrastructural projects, poverty alleviation, technological development, architectural planning and community policing. There are significant increases in access and empowerment for the disabled, disease control, health education and nutrition. Participatory methods assist in formal and informal education, experiential learning and communication, adult education and – on college campuses – increasing student involvement in academic decisions, university-community partnership, gender and youth development and in overcoming racial prejudice and other forms of discrimination. Improvement has been noted too in the fields of disaster management, peace-building and the work of welfare organisations. Finally, participatory methodology is cited as a crucial factor in increased success in terms of organisational development, building civil society, project evaluation, policy development and advocacy. In political terms, participatory development can be characterised as a third way social movement due to its dualisms or wide-ranging, seemingly contradictory outcomes. For example, interests that could be considered to be mutually exclusive – such as advancing development and protecting the environment – are fashioned by groups into synergistic partnerships. All of this results in both autonomy at sub-national levels and strengthened national unity with greater public trust. It is worth highlighting that such consequences could be particularly relevant in the different yet connected situations of Arab Spring countries. While the philosophical roots of participatory methodology are ancient, based in consultative decision-making, they are integral to the modern era. Participatory human development stands where the classic ‘left’ and ‘right’ of the political spectrum can meet, creating decentralised systems and building a society that empowers at the local level and where the people determine and drive their individual and communal growth. For example, in the context of the US political landscape, participatory development combines core features of both major political parties. It is dedicated to alleviating poverty that is explained to be systemically and historically created (a Democratic outlook) while at the same time it sees central planning of local development as contributing to waste and resentment, seeking instead to transfer power to the people so that they may manage their own affairs (federalism, the Republican party’s identity principle). The prerequisite for the application of participatory stimulus is that it is supported adequately by national laws and policies that promote local democratic planning and action. National foreign debt ultimately reflects endorsements of borrowers’ national growth. Participatory stimulus is the smart insurance that creditors should support to guarantee in the best manner possible that loans are paid back. With connections that transcend party lines and benefits in multiple domains, participatory stimulus may also be the most politically acceptable pathway across the global arena. By Brendan Keenan Journalism, according to a well-known saying, is the first draft of history. My own experience leads me to think that the second draft, in the equally well-known words of Henry Ford, is usually bunk.